The CBI website lists Ansari as having a ‘Yellow Notice’ against his name — an Interpol global alert issued to help locate missing persons. 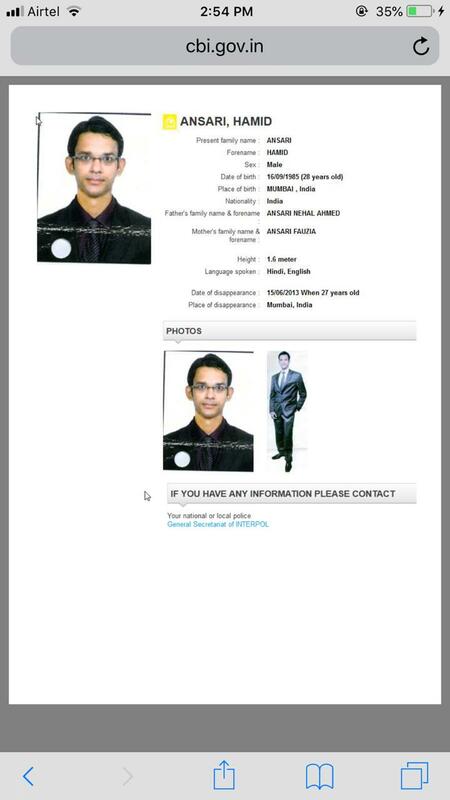 New Delhi: Hamid Nihal Ansari, who returned to India in December 2018 after spending six years in a Pakistani jail, is still “missing” according to the records of the CBI’s National Central Bureau (Interpol). Ansari, a software engineer in his thirties, was arrested by Pakistani authorities in 2012 on charges of espionage when he tried to enter that country through Afghanistan to rendezvous with a woman whom he had met over the internet. Eventually, he had to be released due to lack of evidence. His return to India via the Wagah border was widely covered by the media in both countries. 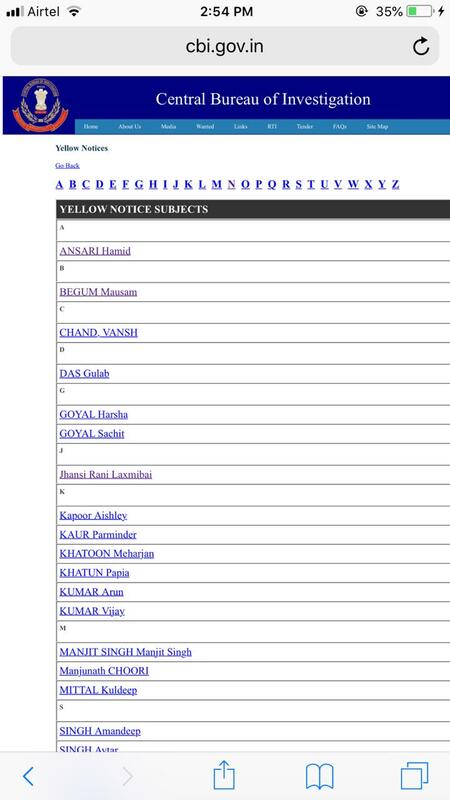 And yet, the CBI website lists Ansari as having a ‘Yellow Notice’ against his name. According to the Interpol, a Yellow Notice is a global alert that is issued to help locate missing persons, or to identify persons who are unable to identify themselves. The Yellow Notice is put out especially if there are chances that the person might undertake travel or will be taken to an undisclosed location. It is issued by the Interpol General Secretariat after the police of the country whose citizen is missing informs Interpol. An email sent to the CBI on the Yellow Notice went unanswered, while the Ministry of External Affairs declined to comment. This report will be updated when they respond. Fauzia Ansari, Hamid’s mother, told ThePrint from the family’s Mumbai residence that she now plans to take her son for Umrah, the Islamic pilgrimage to Mecca, to celebrate his release and also to pray for his future. “I do not know why CBI’s Yellow Notice is still there. In fact, we are now waiting for his passport to come. We had applied for it the moment he came back to us in India. The process of police verification is over. We expect to have it anytime now,” Fauzia said, confirming that when Pakistan released Hamid, it did not hand over any documents that he was carrying at the time of his arrest, including his passport. Fauzia also said her son is still mentally and physically “disturbed”, and that his treatment is going on. It must be noted that the MEA had organised a public event when Ansari came back to India. He and his mother had also met External Affairs Minister Sushma Swaraj. Upon his arrival at Mumbai airport, Ansari had told reporters he would now search for a job, get married and settle down.